When Sir Wilfrid Laurier, Prime Minister, boasted that the twentieth century belonged to Canada, he spoke for a nation buoyant with optimism about its future. 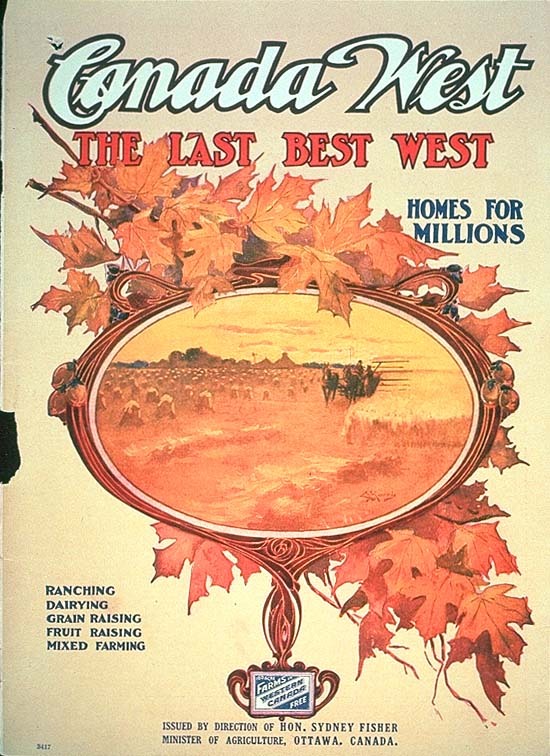 After years of doubt and economic depression, wheat sales were booming, a frenzy of railway building was in progress, and the long-hoped-for settlers were at last pouring in to 'the last, best west'. 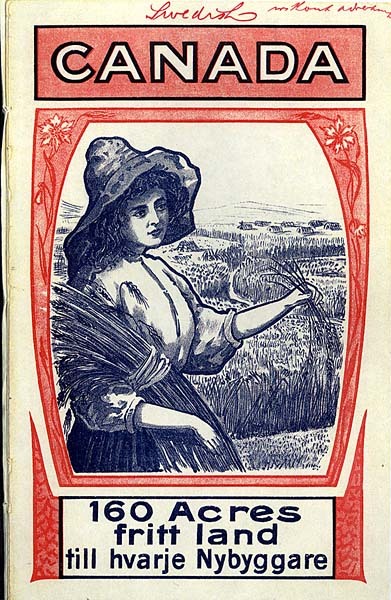 This virtual exhibition is about the Canadian government's role in advertising free land in The Last Best West to farmers and farm workers in Britain, the United States and Europe. These were the only immigrants targeted by the government, apart from domestic servants. 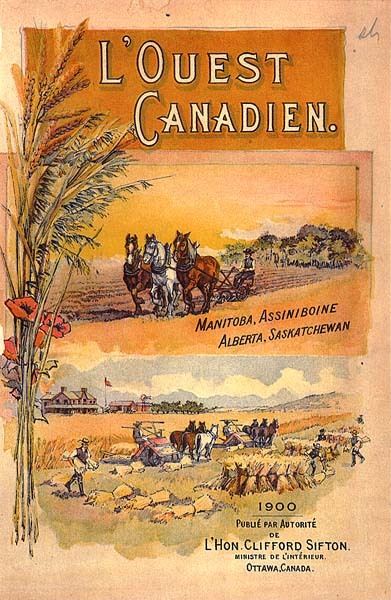 The Canadian Pacific Railway, and other rail and ocean transportation companies, helped promote government land in western Canada to would-be immigrants. 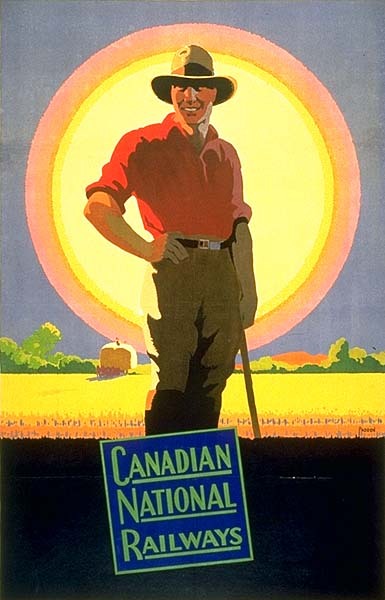 The exhibition presents images of western Canada that appeared in posters put out by the government and the big transportation companies. Also on view are colourful government pamphlet covers; newspaper advertisements for immigrants; promotional photographs and notices. Photographs of touring exhibition wagons, and displays of prairie wheat at large agricultural shows and small country fairs, are also included. Many objects in the Canadian Museum of Civilization's collections were brought to Canada by immigrants in the period from Confederation to 1930. A selection is included here in the section called Immigrants' Possessions.